“This intersection makes me nervous,” Marcia Pearson, a Somerville bicyclist, told a newspaper recently. What Pearson is talking about the intersection of Vassar Street and Massachusetts Avenue. According to local police officers, it’s an extremely dangerous intersection. Every day, there are thousands of motorists, pedestrians and bicyclists who use the intersection near the Massachusetts Institute of Technology campus. Intersection car accidents in Massachusetts are common at this intersection because of the high volume of traffic that this intersection withstands all day long. Our Boston car accident lawyers understand that Cambridge officers responded to nearly 60 accidents at this intersection in 2007. Of those, 24 involved vehicles and bikes. Many resulted in injury, and some in death, according to The Boston Globe. For this reason, officers are targeting this intersection as a part of a roadway safety campaign that is being used by officials to improve traffic safety across the city, cracking down on those who violate traffic laws. According to Jack Albert, Police Deputy Superintendent, accidents are inevitable with so many people using this intersection daily, even though there have already been efforts made to make the intersection safer. Last year, road enhancements were made on Mass Ave, but officials with MIT urge the state’s transportation department to change the timing to the traffic lights at the intersections to make the intersection safer. But even with the improvements, there were 16 accidents at the intersection last year. According to the Police Department’s list of the top five most dangerous intersections of 2011 in the city, this intersection ranked second, right behind Massachusetts Avenue and Gardner Street in Harvard Square. This is the fourth entry of a 6-part blog discussing simple New Year’s resolutions residents can make to increase the safety of all travelers on our roadways. This blog entry will be discussing simple adjustments that travelers can make at intersections to help reduce the number of accidents that we see every year in these areas. -Always obey the speed limit. Remember that posted speed limits are the limits for ideal weather conditions. Slow down in poor weather conditions, like snow, fog and rain. -Follow the two-second rule. Never tailgate. Allow vehicles around with you ample space. The more space between you and other vehicles the longer reaction time you allow yourself. 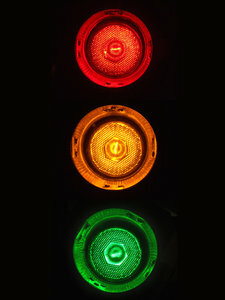 -Always use your turn signal to alert drivers, pedestrians and bicyclists about your intended maneuvers. -Respect the crosswalk. You want to stop behind the line when stopping for a traffic light. Don’t block these walkways. -Never blog an intersection. Make sure you can make it safely through the entire intersection safely before proceeding through. -Put down the distractions. Passing through an intersection requires your full attention. If you or someone in your family has been involved in a car accident at an intersection in Boston or elsewhere in Massachusetts, contact Boston Injury Attorney Jeffrey S. Glassman. Our firm offers free and confidential appointments to discuss your rights. Call 877-617-5333.